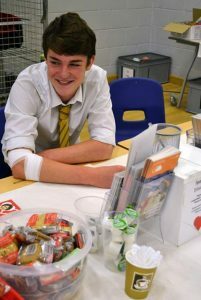 Home > News & Events > News > Stanwell Comprehensive sixth formers lead the way for school blood donations in Wales. 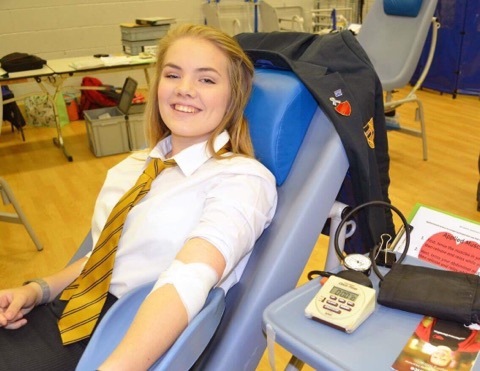 Stanwell Comprehensive sixth formers lead the way for school blood donations in Wales. Sixth form students from Stanwell Comprehensive School have been applauded by the Welsh Blood Service for their outstanding effort towards blood donation after more than 60 students rolled up their sleeves to give blood this term. Speaking of the success, Julie Anthony, a school teacher from Stanwell said: “We could not be more proud of how our students have helped those in need across Wales. 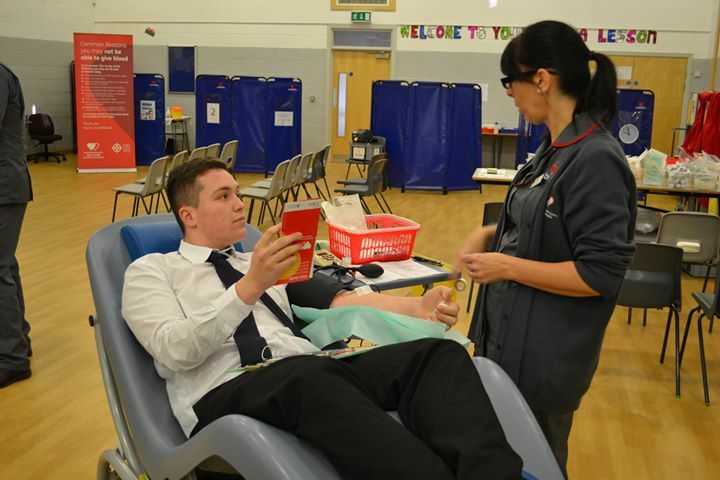 Student Alexander Whitfield, who donated for the first time at the recent session, said: “Giving blood was a surprisingly sociable experience, with a supportive and positive atmosphere which prevented any previous fears. Jonathan Ellis, Head of Donor Engagement at the Welsh Blood Service, spoke about the incredible support from the school; “We would like to thank the staff at Stanwell for providing their students with the opportunity to become the next generation of donors in Wales. Only three percent of the eligible population in Wales currently give blood, and the service is in particular need of young donors to give regularly to secure the future supply of blood donations. To enrol as a blood donor or to find a local donation session, visit welsh-blood.org.uk or call 0800 252266.